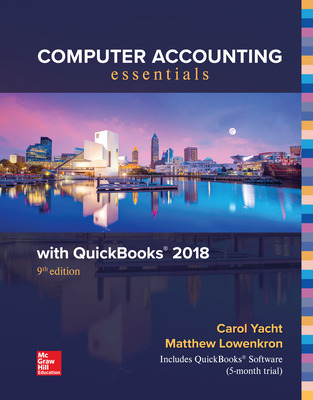 QuickBooks 2018 Essentials is an accessible, step-by-step guide to installing, using and mastering the most popular software for small business. Supportive pedagogy helps students develop a strong working knowledge of QuickBooks Desktop software. Hands-on practice with service and retail businesses shows students how to use QuickBooks’ workflows, features, and functions. The connection between the software, the general ledger system, and the accounting cycle is reinforced.